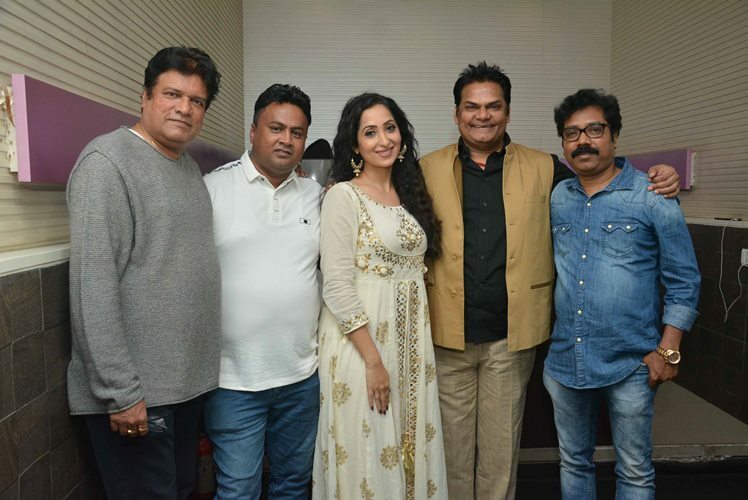 The trailer of Facebook Wala Pyar, which stars Rahul Bagga, Nancy Thakkar, Rajesh Sharma and Akhilendra Mishra in lead roles, has been released on Zee Music Channel. Trailer is getting very good response on YouTube. The movie is presented by AKKI Film Productions in association with Dream World Cinema, directed by Narayan K. Sahu. Recently the star cast of the movie were spotted at Fun Republic, Zee Preview Theater promoting their film The movie is based on the age-old turmoil of every 20-something youth.- to go for an arranged marriage or love marriage. The answer to this question is pretty easy for our protagonist Raj Kuwar Chaturvedi. Born into a family where people have always opted for the more orthodox ‘arrange marriage’, Raj is a rebel. A rebel who ceaselessly negates any effort by his lawyer father to get him married. Reason – He isn’t settling for arrange marriage.